As a former ethical hacker with 24 years’ experience in the Information Security industry, Jason has used his knowledge and expertise to create technologies that ensure organisations stay one step ahead of the risks presented by ongoing advances Cyber threats and risks. 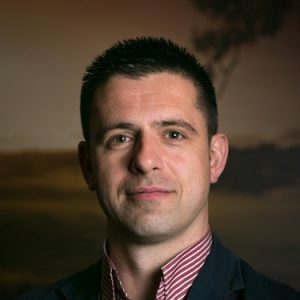 Jason continues to raise the profile of Information Security risks and solutions and was instrumental in the introduction of the role CSO (Chief Security Officer) within business and the founder of the world’s leading Cloud Based Authentication Platform. In addition, Jason has devoted his time to reducing and researching the risk of password theft and password hacking and is globally known for exposing a large number of major password vulnerabilities. Jason has held senior positions within a number of organizations, including Ernst & Young’s Information Security Assurance and Advisory Services practice, CEO of WhiteHat and Cryptocard. Clients have included NHS, Governments, as well as a large number of FTSE 100 organizations, for whom Jason has created and developed entire security frameworks as well as Information Security Assessment Methodologies. In addition, Jason regularly provides advice and guidance to Governments, Law Enforcement and Military agencies on Information Security matters globally and is Vice Chairman for E-Crime Wales and advisor to a number of information Tech start-ups and holds the role of CTO at Gemalto the World’s Leader In Digital Security. The evolution of intelligent attacks & the need for proactive security.